New Delhi : Supreme Court on Tuesday ruled that a police commissioner must not be arrested, however, it asked Rajeev Kumar to co-operate with the Central Bureau of Investigations (CBI) officials and appear before them in Shillong with all evidences he have related to Saradha Chit Fund scam. Bengal Chief Minister Mamata Banerjee hailed Supreme Court's verdict and called it 'a victory of democracy'. The CBI officials had reached Supreme Court seeking orders to arrest Kolkata Police Chief Rajeev Kumar for allegedly shielding some fraud companies associated in the Saradha Chit Fund scam. They also alleged that the evidences handed over by the team "is not complete and it was doctored". 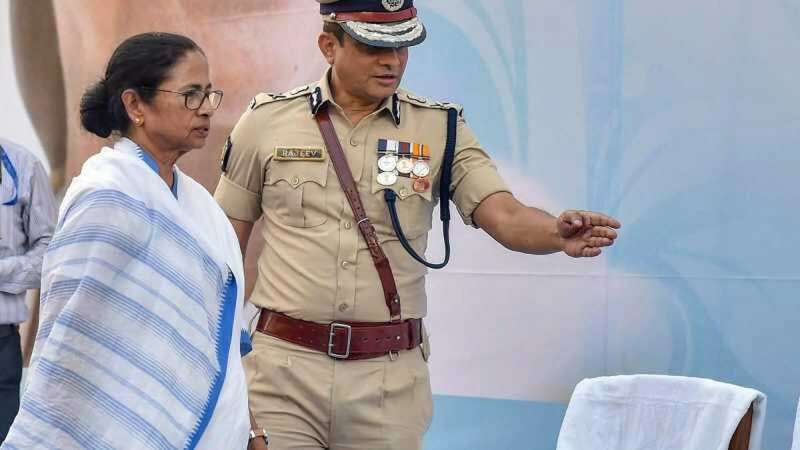 The CBI officials had first arrived at Rajeev Kumar's residence, triggering Mamata Banerjee to sit on an indefinite fast over dramatic arrest attempt. Yesterday, the government called Rajeev Kumar a "potential accused" in court. The CBI wanted to question the police chief on missing documents, it said, but he had not responded to repeated summons over the past two years; he had also skipped an Election Commission meeting on poll preparations, spurring talk that he was"absconding".